Security video cameras are a strong deterrent to theft and fraud, giving you the peace of mind while home or away. JE Technology offers a wide range of advanced security systems to meet your needs. Alarm systems - we install & service wide range of detectors, magnets, motion, shock and glass brake, smoke/heat detectors, carbon monoxide and of course flood detectors one thing most companies forget to install until its to late. Digital video technology - allowing you to access to it from anywhere in the world. Camera's can be viewed from almost any smart phone. Whether you want to relax to your favorite music in your living room, by the pool, in the shower or watch a movie in your bedroom. 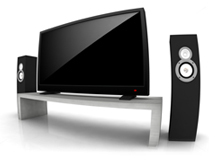 We do it all from a basic TV installation to advanced audio and video distribution throughout an entire home. Sonos music system can be installed seamlessly, usually in the same day. Sonos is for new & existing homes. Our system allows listeners to spend more time relaxing and less time hassling with complicated stereo system. Why can't the audio system in your home be as user friendly as an iPod. With our help it can, it will change the way you hear music. Never before has the concept of a home theater been so real and achievable. When designing a custom home theater, we work closely with you to give you the ultimate movie experience. Have the movie experience without ever leaving your home. We are work with you through every step of the process from chairs to equipment. First step is to dedicate an area/room in your home basement, family room, or spare room. We offer lighting control systems, which is more than just turning lights on & off. You can have peace of mind by allowing you to control a wide variety of lights using intelligent technology. Our advanced lighting control system offers increased security by allowing you to set up time-based schedules. Also, you can dim the lights at night to reduce energy consumption, set mood's for parties/entertainment, automatically turn on or off at a predetermined time. You can even control your lighting from your, iPhone or iPad. We can install lighting control systems seamlessly in new construction and existing homes without any damage to your walls. Home Automation enable you to control your entire home lighting, music, video, security, climate control, drapes and shades. 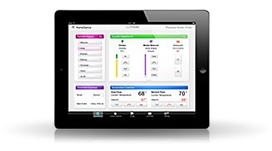 All from a single touch panel or from your iPad/iPhone provides you luxurious lifestyle with easy to use system.
" You Dream it. We will design & integrate it." We can mount a TV just about anywhere in your home or outdoors. Our mounts will hold a wide range of televisions. You can watch your favorite channels whether you're in the kitchen, in the family room. JE Technology installs, programs, & services phone systems from top manufacturers. JE Technology has the experience to install and upgrade commercial phone systems with out any downtime to your office. At JE Technology we understand that a computer network is the hart and soul of every system. With Increasing data speeds make sure your network is built to handle them. We can Install & Maintain any computer network weather its for your Home or Office. © 2012 JE Technology. All Rights Reserved.